This was a cake I was commissioned to do for a 24th birthday. 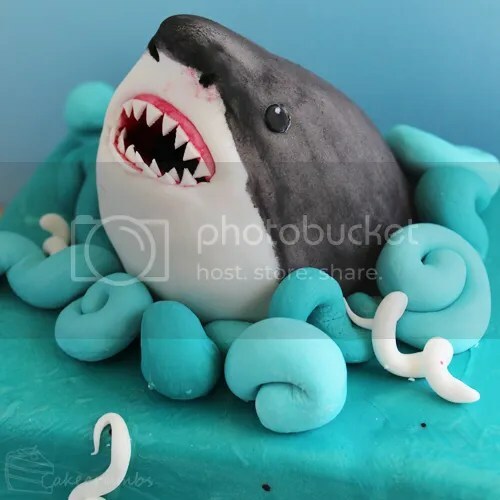 The birthday girl wanted a shark emerging from a cake – I'm in love with sharks, so I was only too pleased for the opportunity to make my first fondant shark. They requested a rectangular orange cake. 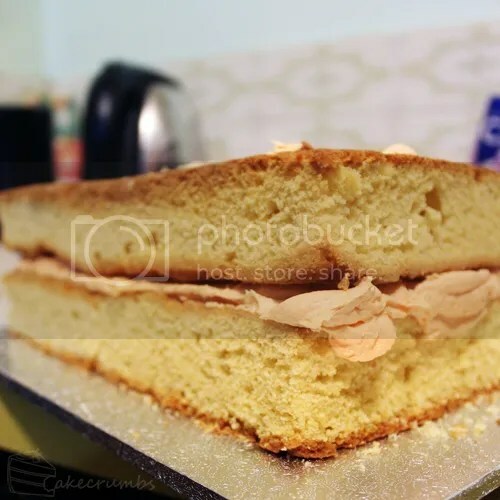 I sandwiched it and crumb-coated it with buttercream. 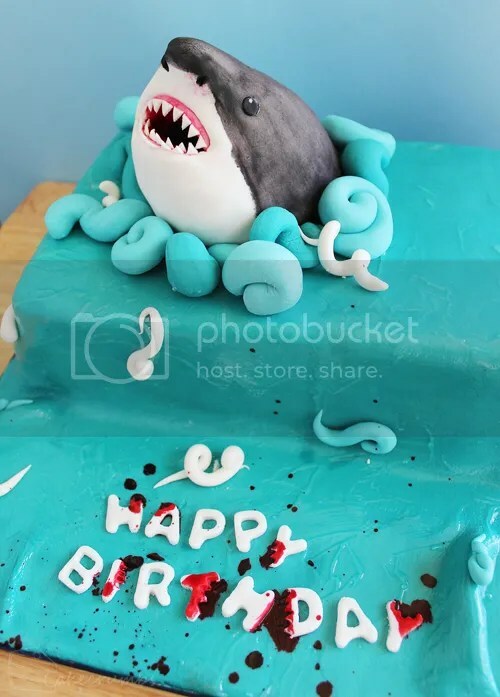 As for the shark. 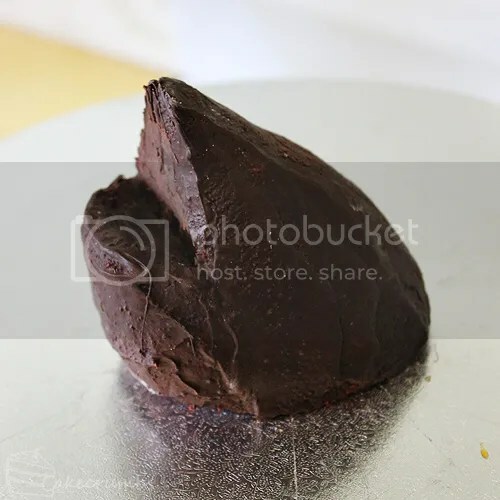 Well, I know a lot of decorators use things like styrofoam for large fondant figures, but I really dislike the thought of including any inedible components on a cake so I avoid it wherever possible. Instead, I used cake crumbs and chocolate for the base. I was making it up as I went along but it worked fairly well in the end. Then all the was left was many hours of fondant work. It amazes me how long even the simplest of designs take. 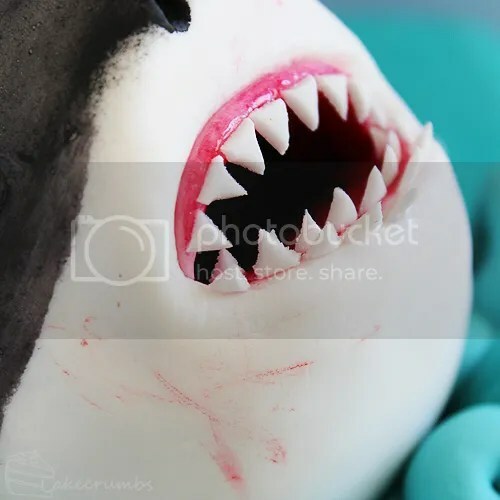 The cake is coated in marshmallow fondant, and then given a coat of piping gel to make it look watery. 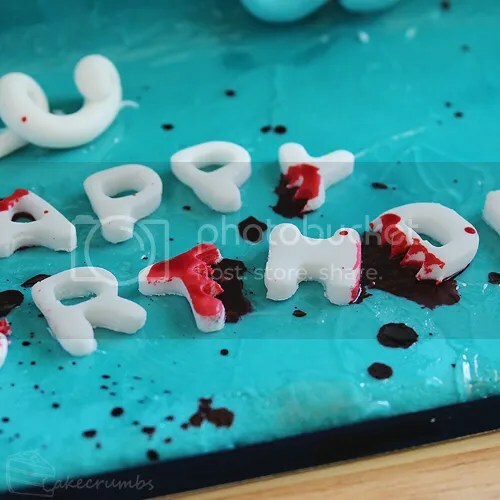 The birthday girl requested "happy birthday" to look written in blood, but it didn't go well on the blue background. Instead, I made the letters a victim of a shark attack. It seems Hubert has been sneaking bites while no one was looking. Hubert tried to pretend like it wasn't him, but the evidence was all over his face. Another great creation! You’re gaining quite a repertoire of fondant animals. Kids are going to rave about this. 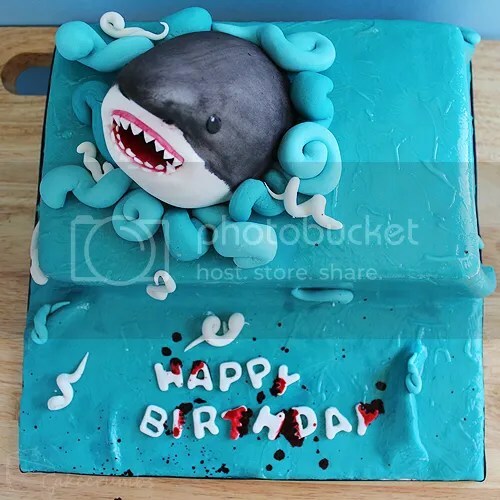 So for the shark base, you just molded it out of cake crumbs and chocolate, is that what you meant? I feel the same way about having inedible things on a cake! LOL! Great job!